Q. How long have vendor terms sales been used in Australia? 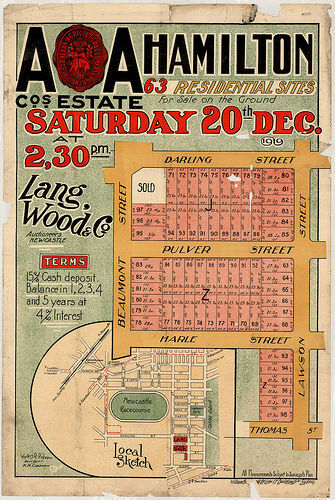 Between 1900 and 1927, vendor finance was used to purchase land in Sydney on terms contracts. The practice of vendor terms predates the 1900’s. Q. Is Commercial Property (AUS) Pty Ltd a real estate agency? Commercial Property (AUS) Pty Ltd is an Australian private investment property buying company that buys commercial property. Q. Does Commercial Property (AUS) Pty Ltd deal with real estate agents? If a real estate agent has a property on its books that it wishes to sell, Commercial Property (AUS) Pty Ltd is very happy to speak to the agent. Q. What are the benefits to the seller? Funds left in the deal are secured by a property and tenant known and trusted by the seller. Allows the seller to receive some funds now and some later. Q. How are the seller’s loan funds secured? Q. Can the deal be structured to suit a seller’s SMSF (Self Managed Super Fund) requirements? Q. What is the typical length that a vendor loan is taken out for? Five to ten years or more, depending on the seller’s circumstances. Q. What type of properties are preferred? Q. What type of properties are NOT suitable? Q. What is a sale and lease back? This where an owner occupier sells their property and leases it back. Q. How does a sale and lease back benefit the seller? Q. What minimum lease term is required for a sale and leaseback? Q. Who pays the statutory outgoings (e.g. rates, land tax, etc)? From the date of settlement, these are the responsibility of the purchaser, and, as is normal practice with commercial properties, they are usually recovered by the owner from tenant unless otherwise specified in the lease agreement or by law. Q. What interest rate is paid by the buyer? The actual amount and method of interest to be paid will be determined on a case by case basis. Q. What locations are properties purchased in? Q. What is the minimum lease term acceptable to the purchaser? Q. How quick can the deal be done? Deals may be completed within 30 days from the completion of the necessary due diligence. Q. What do I do if my solicitor is not familiar with vendor term contracts? Please contact the law society in your state or territory and ask for a list of legal representatives who have experience in vendor term contracts. Q. Where is the head office of Commercial Property (AUS) Pty Ltd? Q. How do I contact the Commercial Property (AUS) Pty Ltd if I have more questions?